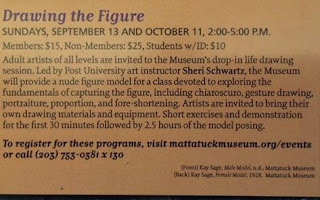 I'm instructing monthly figure drawing sessions at the Mattatuck Museum beginning this Sunday from 2-5 PM. Other dates are 10/11 &11/22. 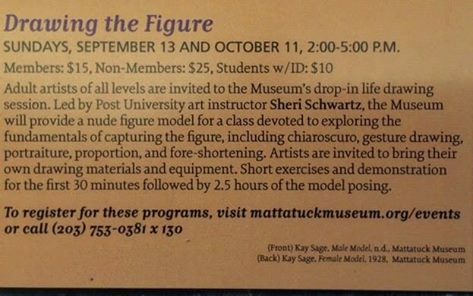 Hope you can join me!"